Scientists at Japan’s Fukushima nuclear power plant are preparing for their toughest clean-up operation yet – two and a half years after three of the plant’s reactors suffered a meltdown in Japan’s worst-ever nuclear power disaster. The operation, to remove 400 tons of highly irradiated spent fuel beneath the plant’s damaged Reactor No. 4, could set off a catastrophe greater than any we have ever seen, independent experts warn. An operation of this scale, says plant operator Tokyo Electric Power Company, has never been attempted before, and is wrought with danger. An uncontrolled leak of nuclear fuel could cause more radiation than the March 2011 disaster or the 1986 Chernobyl catastrophe, say consultants Mycle Schneider and Antony Froggatt. "Full release from the Unit-4 spent fuel pool, without any containment or control, could cause by far the most serious radiological disaster to date," the scientists say in their World Nuclear Industry Status Report 2013. The operation has been tried before – but only with the aid of computers. This time it will be a painstaking manual process. Here’s what needs to be done: more than 1,300 used fuel rod assemblies, packing radiation 14,000 times the equivalent of the Hiroshima nuclear bomb, need to carefully be removed from their cooling pool. Arnie Gunderson, a veteran US nuclear engineer and director of Fairewinds Energy Education, told Reuters that "they are going to have difficulty in removing a significant number of the rods," especially given their close proximity to each other, which risks breakage and the release of radiation. "The problem with a fuel pool criticality is that you can't stop it. There are no control rods to control it,” Gundsersen said. “The spent fuel pool cooling system is designed only to remove decay heat, not heat from an ongoing nuclear reaction." The base of the pool where the fuel assemblies are situated is 18 meters above the ground. The pool itself is 10 by 12 meters, and the rods are seven meters under the surface of the water. One problem with that pool is it has been exposed to air in the 2011 catastrophe, when its roof was blown off by the explosion. The operation is urgent – because even a minor earthquake could trigger an uncontrolled fuel leak. 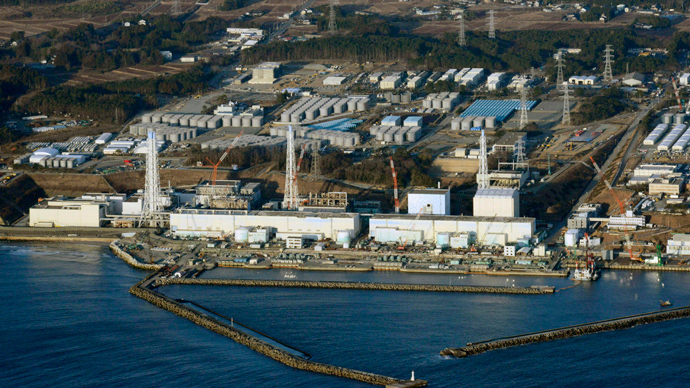 The removal process is due to begin in November, with TEPCO predicting it will take approximately a year. 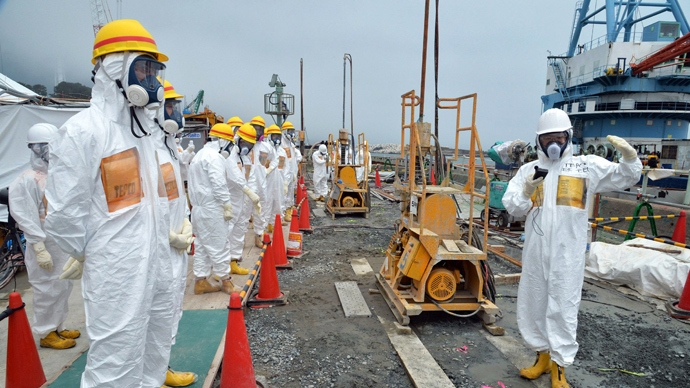 Although TEPCO is confident the operation will be a success, some experts are more skeptical. TEPCO is currently failing to contain radioactive water seepage in another part of the facility. Two empty fuel rods were removed as part of a test operation some time ago, but "to jump to the conclusion that it is going to work just fine for the rest of them is quite a leap of logic," Reuters quoted Gundersen, of Fairewinds Energy Education as saying. A giant steel frame currently towers over Unit 4, soon to be tasked with the extraction of the fuel assemblies. Each fuel rod weighs at around 300 kilograms and is 4.5 meters long. They also contain plutonium, one of the most radioactive substances known to man. The radiation builds up during the later stages of a core’s operation. Toshio Kimura, a former TEPCO technician, told Reuters that the operation would normally be assisted by computers, but that luxury is gone. "Previously it was a computer-controlled process that memorized the exact locations of the rods down to the millimeter and now they don't have that. It has to be done manually so there is a high risk that they will drop and break one of the fuel rods," he said. 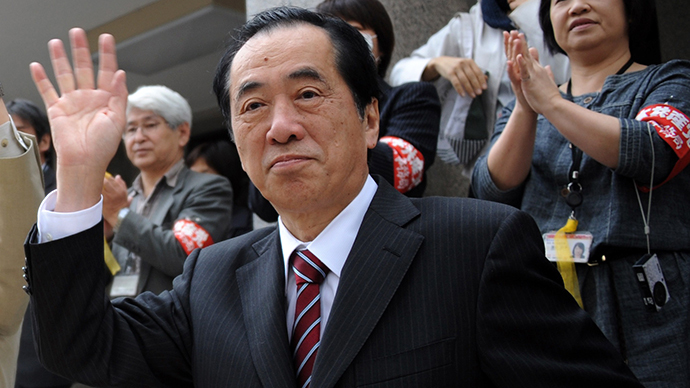 He is also expecting many issues for TEPCO ahead, as the process is estimated to take years. The scientists’ task is not made easier by the fact that the building is also prone to corrosion from salt water. 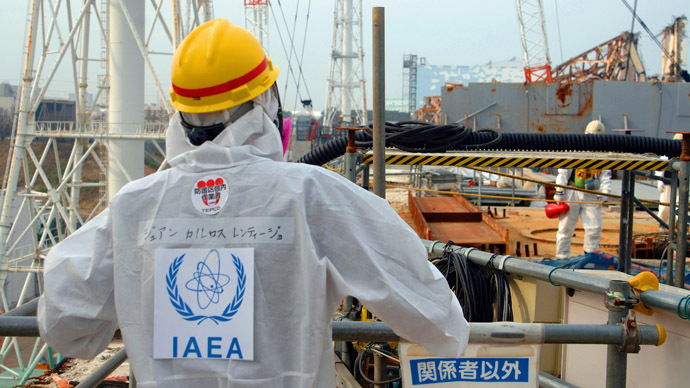 Removing the fuel rods is just one part of the cleanup operation, itself expected to take around four decades - according to the IAEA - during which any number of other problems could arise. "If you build a wall, of course the water is going to accumulate there. And there is no other way for the water to go but up or sideways and eventually lead to the ocean," Masashi Goto, a nuclear engineer who has worked at several TEPCO plants, told Reuters. "So now, the question is how long do we have?" This situation is not made easier by the fact that Japan is a seismically active island. Earthquakes keep striking at random, and even a small tremor could set in motion a catastrophic chain of events. Clean-up costs at the nuclear plant are projected to be in the billions of dollars, as the facility’s operator has failed to meet its targets, leading to increased public distrust and forcing the government to step in. In the two years since the March 2011 meltdown, the costs of the cleanup project could be spiraling out of control financially. If the clean-up is not carried out, it could cause incalculable problems for Japan’s economy, particularly in agriculture. The Institute for Industrial Sciences at the University of Tokyo has recently estimated that the levels of radiation along the country’s coastline are way above the government target. "We have detected over 20 spots around Fukushima Daiichi nuclear plant with levels of radiation five to 10 times higher than the surrounding areas, with diameters ranging from tens to hundreds of meters," the institute said. TEPCO had been left to its own devices two years ago to deal with the clean-up and the compensation payments to people in the contaminated region. Now, with recent news of over 300 tons of contaminated water being leaked into the Pacific for more than two years, the Japanese government has decided to step in. 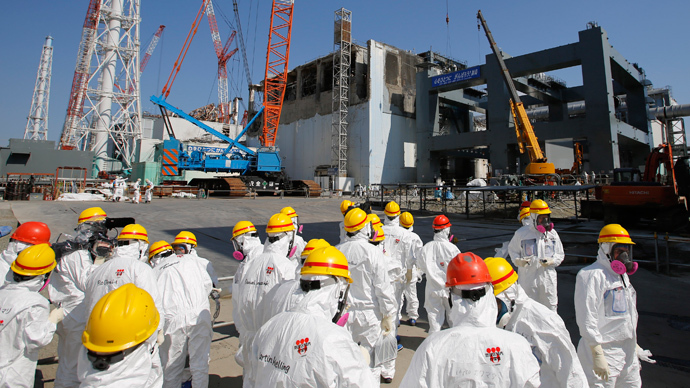 In the immediate aftermath of the disaster, the government ordered Fukushima plant operator TEPCO to bear the entire costs of the clean-up, but also told it to get back to profitability as soon as possible through cost-cutting, so that it could pay off its debts. The clean-up will weigh very heavily on Japan’s energy consumption, however, on top of the already stringent energy austerity measures. 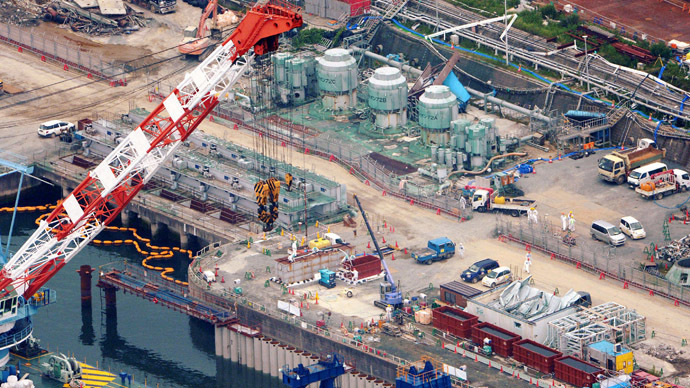 But TEPCO has insisted it will not be able to handle the clean-up bill, which is now projected at more than $10 billion. The company has already spent $3 billion and will require a major injection of $10 billion by March 2014, it says.